Originally published in IRIS Connect’s Engineering blog. At work I was put on a new project involving a low-volume application where a customer would upload some CSV files inside an S3 bucket, and this event would trigger some sort of server-side computation, to parse and validate the CSV files and produce some output. As soon as I looked at the requirements, AWS Lamba came to mind, especially because we didn’t want to maintain a server infrastructure due to the nature of the project. 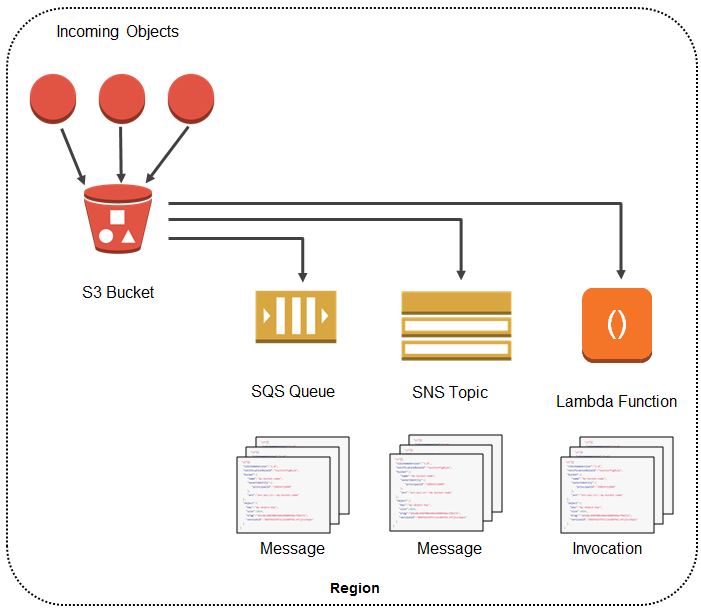 What tipped the scale was the fact AWS supports Lambda as one of the notification mediums to respond to an S3 event; upon seeing that my mind was set! Needless to say that we need the Docker step because we are working on an OSX machine, whilst targeting Linux. Cross-compiling GHC for Linux is a bit of a pain, so it’s definitely way quicker to use Docker. When I was working remotely from my parent’s house in Rome, I did have at my disposal only a humble domestic DSL connection, and definitely every byte mattered when it came to transfer data from my laptop into S3. This is why I’ve got into the habit of compressing my executables with UPX. The rest of the post takes that into the account, but note how such compression step is not required to deploy on AWS Lambda. # Pass SSH_KEY as argument. # Specify a specific private key. # Create SSH_KEY inside container. # Give private key correct permissions. You can see we are targeting an OSX machine, due to the call to docker-machine. Mapping host directories like $HOME/.stack will also ensure we will be caching packages built from one invocation to the other, making the process much quicker overall. So, to summarise, when we call build_linux what really happens is that we are first creating the new Docker image (or updating it), and finally calling stack-linux install as we would normally do on our local machine, but the cool thing here is that the build is going to happen on the Docker container and due to the fact we mounted the output of the install to linux-dist on our local machine, at the end of the process we will have a nice Linux binary ready to be deployed on AWS Lambda! docker build --build-arg SSH_KEY="$(cat ~/.ssh/id_rsa)" -t ghc-linux-6.5-builder -f Build.plan . So 2.6MB is not bad at all for a full Haskell app which deserialise JSON from the network and parse CSV files! putStrLn "Error reading Lambda input." Lambdas are running (as you would expect) in a sandboxed environment, so it comes as no surprise they don’t have all the executables you might need during your program’s execution. But not all is lost, as it’s entirely possible to ship them as part of the final .zip we’ll deploy. The only 2 constraints is that they should be self-contained (statically linked or otherwise) and built for Linux x86. Believe it or not Lambda doesn’t come with the excellent aws-cli, installed by default, so I had to package it (running it is not a problem as AWS Lambda uses IAM roles so permissioning is taken care of automatically). There is an excellent post about bundling aws-cli for AWS Lambda so I will simply redirect there for completeness. It’s very important to run the first command with -j which will “squash” relative paths and will ensure the binary and the JS entrypoint will be at the top level of the zip file, which is required by AWS Lambda in order to access our code correctly. Now the fun part, deploying! There seems to be a few issues mentioning it explicitly, and none of them explaining what’s going on. It seems to be a GHC bug, but I’m not 100% sure (as that trac ticket claims is fixed). What’s sure is that c_poll is coming from GHC. Luckily for me, in order to “fix” the problem, it was sufficient to simply allocate more memory for my lambda, or increase the timeout for the program execution. With 256/512 MB I was able to comfortably running my code under 10 seconds.